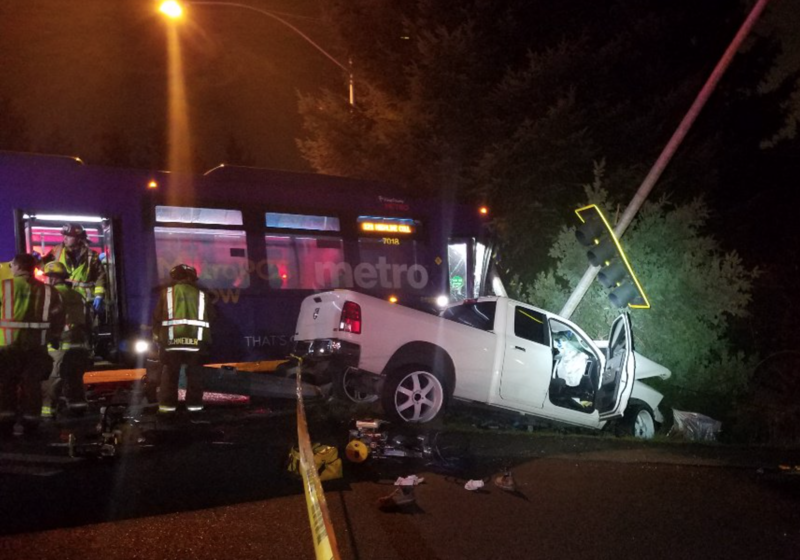 A Metro bus collision with a white pickup truck on Thursday night just after 6pm resulted in an impact on a power pole near 128th SW and the southbound HWY509 on ramp. Power in the immediate area was out. The collision resulted in traffic being blocked on 128th SW as emergency responders arrived and two people were taken off the bus to be examined at Highline Hospital. No serious injuries were reported. All ramps on to and off 128th from HWY 509 were blocked.